Experience the Engineering Wonder that is the Panama Canal. Marvel at the engineering of the Panama Canal on our cruise ships and discover a tropical destination and vacation memories along the way on your Panama Canal One Day Cruise. Sailing through the engineering masterpiece that connects the Atlantic and the Pacific Ocean is a bucket-list event on its own, but along the way you´ll also discover a country rich in bio-diversity and charm. Really a Tropical Paradise! On your Panama Canal Full Boat Tour, you´ll venture deep into the Panamanian Rain Forest and learn the inner workings of the fascinating Panama Canal´s locks. On your Panama Canal Partial Boat Tour, you´ll discover a fascinating world, in a few hours you will know and experience the Panama Canal. The best time to go on a Panama Canal cruise is anytime. The canal never stops working and you will traverse along with other ships and boats and witness the swift movement of these vessels. 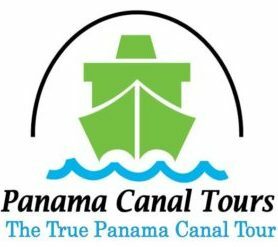 Panama Canal Tours takes you to navigate the Panama Canal and discover the second most important rain forest in the world. Panama! the whole country is the largest rain forest in the world after the Amazon. Transiting the Panama Canal is truly a bucket-list experience. But in addition to the voyage itself, plenty of related activities can enlighten you about the canal’s operation and history, as well as the people and natural environment of Panama. Here are our top picks for having a memorable visit to the Panama Canal. Even if you’re doing a full canal transit, you get an entirely different perspective by visiting one (or both) of the Panama Canal visitors’ centers, where locks raise ships coming in from one ocean and then lower them before they enter the other ocean. Near the Pacific side of the canal, the Miraflores Locks get more visitors because of their proximity to Panama City. The site has a shaded, elevated viewing platform, where you can watch ships large and small travel up or down 54 feet in this series of two locks. The only problem? It’s easier for a huge Panamax ship to squeeze through the locks than it is to wedge through the crowd to snap a good photo. There’s also a well-curated museum about the canal’s history and construction, with information in both Spanish and English. The combined ticket includes a short, hokey, 3D movie, which is barely worth watching. A small gift shop sells souvenirs and books about the canal, and there are snack bars and a restaurant. Try to avoid visiting between 10 a.m. and 2 p.m., when there might not be any ships in the locks. Hours are 9 a.m. to 4:30 p.m. daily. Near the Atlantic entrance to the canal, the Agua Clara Locks are even more dramatic, raising or lowering ships 85 feet in a series of three locks. The shaded, elevated platform is also closer to the canal, making you feel like you could almost reach out and touch a massive container ship as it edges into the locks. You won’t be elbowing to get a good photo here, and excellent guides talk one-on-one with guests, as opposed to the loudspeaker system at Miraflores. Ships pass through these locks all day long; on the downside, if you don’t have a port call in Colon, it takes over an hour to reach this visitors center from Panama City. We recommend hiring a guide/driver and combining the Agua Clara and Gatun Locks with other nearby sites, like the Gatun Dam and Fort Lorenzo (and try to drive across the locks on the swing-bridge, if possible, for an eye-popping perspective). Hours are 8 a.m. to 3:45 p.m. daily. The Panama Canal isn’t the only astonishing feat of engineering and construction crossing the isthmus. Back in the 1850s, the Panama Railway was built to speed gold-hungry travelers between oceans on their way to the California Gold Rush. It was the first transcontinental railway, running only 47.5 miles but with more than 300 bridges and culverts across the swampy, treacherous jungle. It’s estimated that 12,000 men died building it. The railroad was also instrumental during canal construction, though it was relocated from its original path, which is now partially underwater. The one-hour ride through the jungle, from near Panama City to Colon, offers views of the canal, Gatun Lake and way stations in the former Canal Zone. And you can ride for the same price the ’49ers paid: $25 — though they were required to hand it over in gold! The train leaves the station outside of Panama City at 7:15 am and makes the return run from Colon at 5:15 pm. Some cruise ships offer shore excursions featuring a ride on the train at other times. We recommend booking a guide to meet you at the train (some will even drop you at the Panama City train station, then pick you up in Colon) if you want to do any sightseeing, such as a trip to the Gatun Locks, on the Colon side of the isthmus. Colon is not a safe place to wander on your own. Designated as a UNESCO World Heritage site, Panama City’s old colonial district is full of charm but just rough enough around the edges that it doesn’t seem overly touristy. In recent years, the area has undergone a renaissance, with renovation of many pastel-colored houses and small hotels opening in historic buildings. Some older structures, including a couple of churches, are only shells; others are being rehabbed. 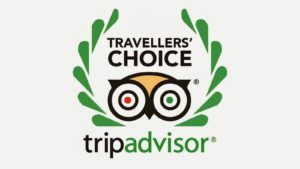 Wander on your own, hire a guide or take part in a shore excursion. Some places to see: The comprehensive Panama Interoceanic Canal Museum, which covers the history and future of the canal, including politics surrounding it (be sure to get a free headset with English information); the Plaza de la Independencia (also known as Cathedral Square), with the commanding Catedral de Nuestra Senora de la Asuncion church; the dazzling National Theater, with gilded boxes and a gorgeous mural on the ceiling; Iglesia de San Jose, a church famous for its golden altar; calm Plaza de Francia and the seawall surrounding it (take the steps up from the plaza for views and breezes); and the ruins of Iglesia de Santo Domingo, where a surprisingly stable flat arch convinced canal engineers that Panama must not be prone to earthquakes. This causeway and breakwater extend nearly two miles from the Panama City mainland, offering views of the Bridge of the Americas and ships heading for the canal on one side, and modern, downtown Panama City across the water on the other. It’s a popular spot for locals to stroll, particularly on weekends. The causeway, which connects four islands, was built from dirt and rocks removed during construction of the canal. Flamenco Island, at the causeway’s far end, is home to a marina where some cruise ships tender passengers to port — there are restaurants, bars and a duty-free shop. Check out the Frank Gehry-designed Biomuseo, located about midway down the causeway. You can’t miss it — its wavy, multicolored roof can even be seen from several miles away in Casco Viejo! The museum’s state-of-the art exhibits tell the story of how the isthmus was formed and celebrates Panama’s flora, fauna and geology, as well as presenting the history of its human inhabitants. There are great views from Panama City’s highest point, Ancon Hill (Cerro Ancon). You’ll be able to see the canal entrance, Bridge of the Americas and the Miraflores Locks. Lower down on the hill is the Panama Canal Administration Building, where a rotunda displays striking murals depicting the canal’s construction, created by U.S. artist William B. Van Ingen and installed in 1915. Below the Administration Building lies the village of Balboa, which was the major community of the American Canal Zone. It’s a partial ghost town these days, but it is interesting if you’re curious about what life must have been like for Americans who ran the canal. Spaniard Vasco Nunez de Balboa was the first European to cross the isthmus and reach the Pacific Ocean. That discovery led to years of Spanish colonial occupation, with plundered Incan gold traveling to Panama City and overland to Portobelo before the armada took it to Spain. Between Panama City and the international airport, Panama Viejo (or Old Panama) is the ruins of the original Spanish settlement. It was sacked by pirate Henry Morgan in 1671, causing residents to relocate the city to what is now Casco Viejo. What’s left are stone ruins, the most evocative of which is a cathedral tower. You’ll also find souvenir handicrafts for sale, plus a nearby museum housing finds from the site. Fuerte San Lorenzo, a fortress on the Atlantic side at the mouth of the Chagres River, was built to guard this vital waterway against pirates heading to Panama City. Obviously, it didn’t work! Henry Morgan gathered a flotilla of pirates to defeat it on his way to Panama’s treasure. Today, there are interesting ruins and an old cannon. Just be careful, as there are no guardrails and the ruins are uneven. The fort is a good combination with a visit to the Gatun Locks. The town of Portobelo, on the Atlantic side of the canal, was where the Spanish Armada came to port, delivering trade goods and leaving laden with Incan treasure. There are ruins of three fortresses there, with Castillo San Geronimo, located right in town, being the most-visited. Also, a restored Spanish customs house (Real Aduana de Portobelo) contains a small museum. The town itself is poor and a bit forlorn, so it’s not worth visiting unless you have an interest in Spanish colonial history. Some cruises and a number of local tour companies offer daytrips to visit one of the villages of the indigenous Embera people living in Chagres National Park. This typically involves a one-hour drive and a river canoe trip lasting one to two hours. Tours usually include learning about tribal customs, dancing, sharing food and the opportunity to buy handicrafts. You might even decide to get a temporary Embera tattoo, using “ink” from a native fruit. If you can, go with a native Embera guide, such as Garceth Cunampio Tocamo, of Embera Tours Panama. Panama is teeming with wildlife and is particularly known for its many bird species, as well as migratory birds. But there’s also an opportunity to see monkeys, sloths and at least a few of the country’s 16,000 species of butterflies. You may spot toucans or crocodiles from your ship as you transit parts of the canal, but to see more wildlife, consider a shore excursion or private tour that gets you closer to the jungle. Soberania National Park, near Gamboa (about 45 minutes from Panama City), is a great spot for wildlife. The Panama Rainforest Discovery Center is a good place to start, with 14 species of hummingbirds hovering around its feeders. Trails, viewing platforms and an observation tower provide opportunities to see monkeys, crocodiles, coatis and butterflies. Keep in mind that you’ll see the most wildlife in the early morning and before dusk. Nobody likes the midday heat here, including the local fauna. Gatun Lake is a crucial part of the Panama Canal. The giant body of water was made by damming the Chagres River, and the canal’s locks were built to lift up ships to the lake’s level. But beyond being part of a shipping lane, the lake offers fishing and sightseeing opportunities of its own. Small-boat tours take you close to wildlife around the lake and may even stop at some islands or include the opportunity to swim and kayak. You might see white-faced capuchin monkeys, crocodiles, toucans and more. Fishermen also prize the lake for its abundant and hard-fighting peacock bass. Charters of all types are available, from simple boats to more sophisticated rigs. Pricier outfits can also take you trolling for tarpon and snook. OK, it’s true: Panama hats are actually made in Ecuador. But the hats still offer stylish protection from the tropical sun and make a great souvenir. The classic hat is woven from a palm-like plant and is white with a black band. Various styles are available. You’ll find street vendors selling them for $20 to $30 in Panama City, while finer, pricier versions can be bought in shops. The more refined the weave, the more expensive. Hats with 1,600 to 2,500 weaves per square inch can cost hundreds of dollars. The story of the Panama Canal is truly amazing — from the ill-fated French attempt to build a sea-level canal, to the U.S. effort, which was the “moon-landing” of its day. McCullough’s book describes the history of the canal in fascinating detail and will enrich your understanding and your voyage.